The 310 XF with its smart layout has been designed to deliver superior offshore service. 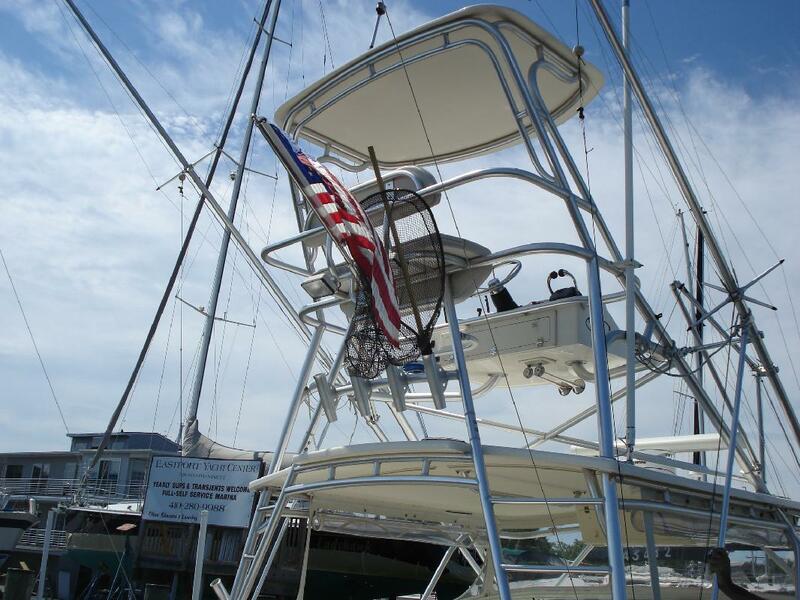 The cockpit is exceptionally large for a 30 footer and is overly equipped with top of the line fishing features. The newly designed cabin features a V-berth arrangement that comfortabley sleeps four. The hansome "Palm Beach" style pod helm is designed for optimum performance, visibility and control. An enclosed head, stand up shower, and galley with microwave, refrigerator and freshwater sink are standard. The rigging stations include a 30-gallon livewell, a 56-quart cooler, and fresh and raw water wash downs.